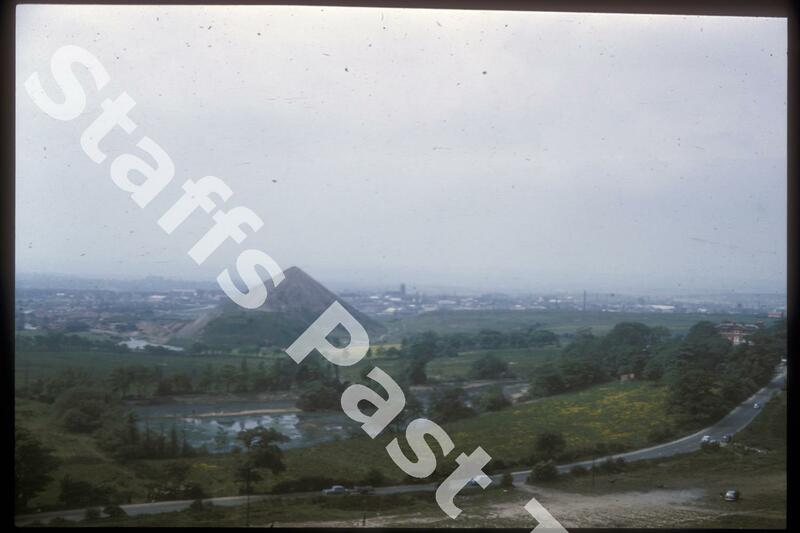 Description:Looking towards Longton from Parkhall Hills. 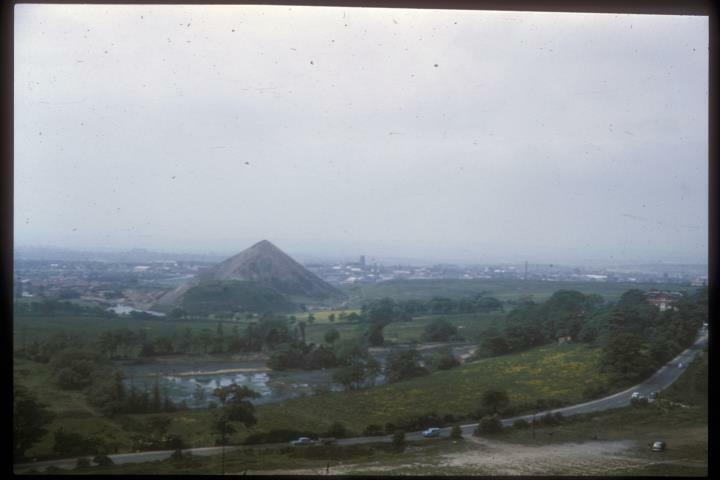 The middle of the photograph is dominated by the spoil tips of Parkhall Colliery, closed nearly four years before the picture was taken. Park Hall Road, connecting Weston Coyney with Dividy Lane (to the right) runs through the foregroun. Berween the tip and the road is Park Hall Lake fishing pool. According to Bert Bentley, the banks had recently burst with the loss of 60,000 fish. The pool looks drained. This photograph was taken on 4th June 1966, after a period of above average and heavy rainfall. On the right hand edge in the trees is Park Hall house, now demolished. In the far distance to the right of the tip is the tower of St James' Church in Longton. The point the photograph was taken from is in the edge of Park Hall Country Park.